Read The City That Fell, Free! 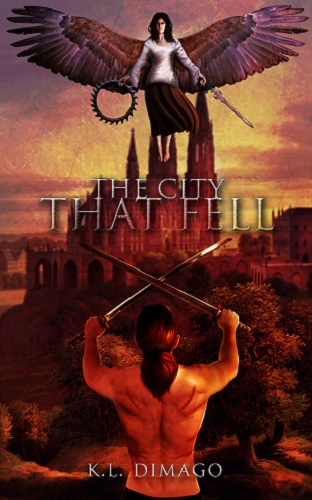 If you've read The City That Fell, the release you've been waiting for is coming soon. Get ready for The Light That Pierces, Spring, 2018. Well, after some deliberation and unexpected changes, the War Torn Anthology is no more. 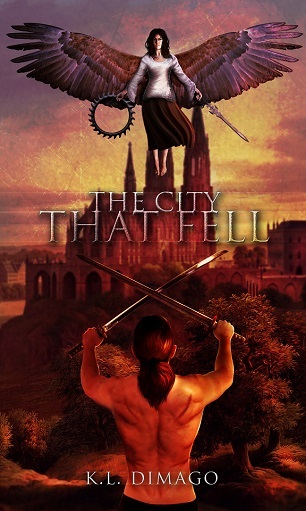 However, The City That Fell is getting a makeover and a re-release and I'm excited for what's to come! Remember that new release I mentioned a while back? Get ready for more on that soon! Updates will not be as frequent at the moment as I am taking some time needed for adventure. I'll be returning soon with some awesome announcements and the status of my next book. It's here! War Torn, the Anthology from Seven Authors of Fantasy is released. What an amazing project to be a part of! And of course, you have to let me know what you think. Keturah has always excelled in magic skills and dreams of becoming a member of court in the city of Lucenskath beneath the leader of Nefeiah, Elias, who has led an era of peace and prosperity. 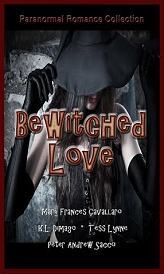 But when she is befriended and wooed by Lucas, a fellow student, she learns of a plot to overthrow Elias and his magic council. Keturah must choose between her love of Lucas and her trust in Elias and decide whether or not to make the ultimate sacrifice. 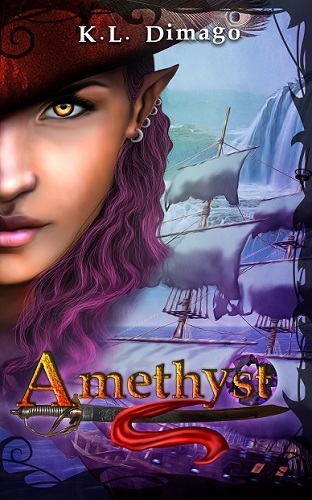 Forced into an abusive marriage and a destiny out of her control, Amethyst flees to the seas looking for freedom. However, she finds the oceans rough and wild, which leaves her searching for something more. 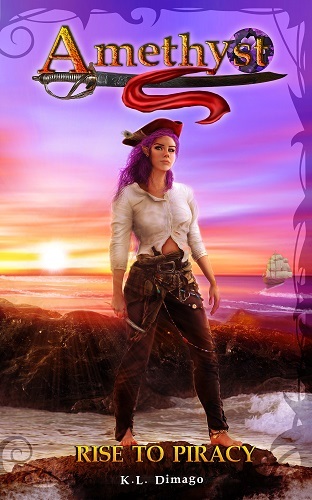 Accompanied by her ever-loyal friend and mage, Darien, Amethyst begins to learn what it truly means to be a pirate and what it will take for her to gain what she seeks. Fighting to overcome her past and all manner of cutthroats, she believes taking a ship for herself and becoming a fearsome captain is what will grant her desires. But she also must choose if she will do so at the cost of her dignity. As indications of war rise on the seas and Amethyst finds herself hunted at every turn, she must fight back or else be returned to the very life she escaped. When a fearsome pirate captain hires on a new crewmember, she hardly expects he might be the key to unlocking her heart. However, as her carefree life on the seas spirals out of control, she might learn his true worth. Cadell is an ex-captain who battled his vampire instincts while still squelching anyone that dared oppose him. However after the tragic loss of his ship, he’s lost his memories of the fae captain who accepts him as a member of her crew. Now he must regain what he’s lost if he desires to once more rule the seas. Amethyst set sail on a ship that would bow to none in hopes of escaping a violent past among the fae. Yet as fate shows her a continuously darker hand, she must fight back against an enemy that would rob her of even her dignity and her strengths. With each turn, Amethyst battles for control until at last, she must make a decision that could set her free, or cost her everything. Seven years after Emily let the best thing that ever happened in her life walk away, he suddenly shows up at one of her tables at the restaurant where she works. David. Her high school sweetheart. And he wants her to use her magic to help him. A magic she hasn't used since they parted. When David makes it clear he came to her strictly for the magic... she can't help but question why her as opposed to another witch? As they fight to stop a group of hunters and recover a stolen amulet with the power to imprison souls, Emily must control both her magic and the desires tearing at her heart. © 2015-2016 K.L. Dimago. All rights reserved. · Contact K.L. Dimago · Website Design by K.L. Dimago.